Leslie Steiger, David S. Carroll, Kathryn Mangus and the George Mason University Office of Student Media, Eric Pankey and the George Mason University Creative Writing Program. 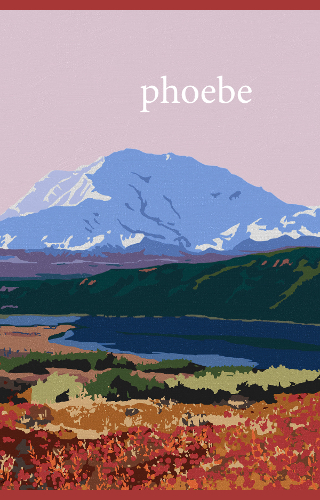 Your e-mail address is only used to send you our newsletter and information about the activities of phoebe. You can always use the unsubscribe link included in the newsletter.